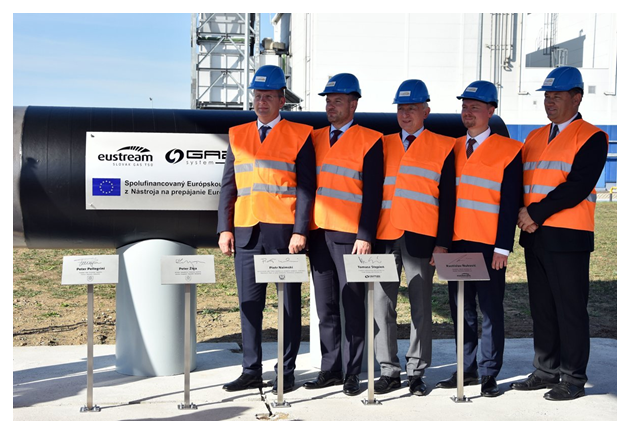 On 12 September, in Velke Kapusany, was officially launched the construction of a gas pipeline link between Slovakia and Poland, that will be 160 – kilometers long, being built by Slovakia’s Eustream and Poland’s Gaz-System. The event was attended by the Slovak Prime Minister Peter Pellegrini that declared: “We’ll have another reserve resource of gas supplies if, God forbid, gas transit via Ukraine is halted. This link to Poland will allow us to cover for Slovakia’s annual gas consumption”. The Slovak-Polish gas interconnection is scheduled to be put into operation in 2021. The overall cost for Slovakia should be €142 million, while the project has received a grant from the EU amounting to €55 million and a €70 million loan from the European Investment Bank. After it's complete, Slovakia will have access to the Baltic LNG terminal.